Introducing CUPPA DOODLES, a brand new collection of witty and whimsical mugsby designer Lorrie Veasey. Each mug features a reproduction of a hand drawnillustrated font- a doodle- by this artist whose work has long been associatedwith presenting text and sentiment in fresh and funky ways. Bold vivid pops ofcolor combine with a mix of patterns to create items that appeal to a widerange of personalities and ages. 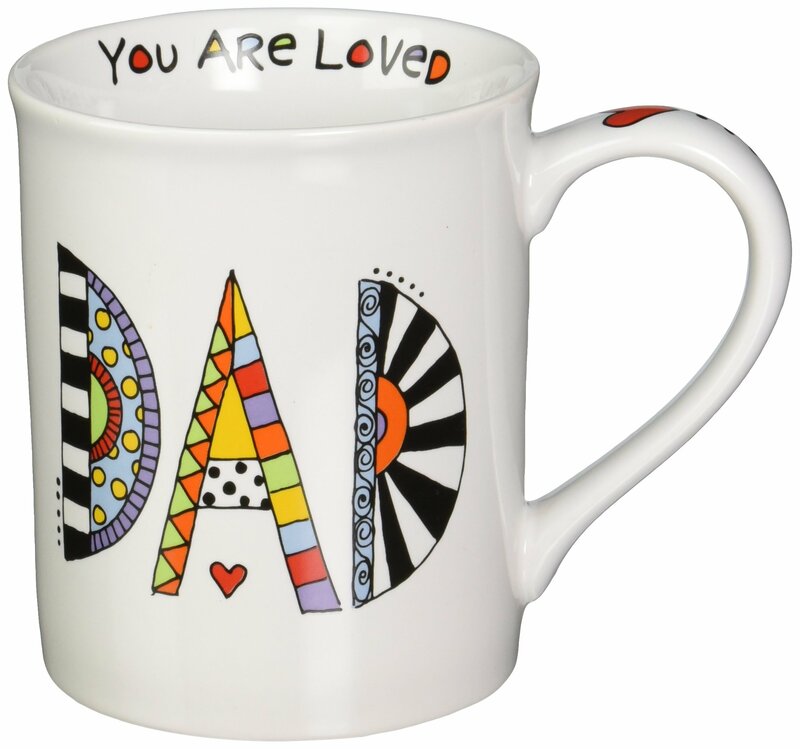 This mug reads "You Are Loved" on the innerlip, "DAD" on the front, and "Dad is the Boss (right, mom?)" on the back.Great gift for Dad--sweet enough that he can start drinking his coffee black.Made to be used and enjoyed on a daily basis-these 16-ounce. high qualitystoneware mugs are dishwasher and microwave safe. From Our Name is Mud, thecompany that believes that stuff just tastes better when you drink it in afunny mug.